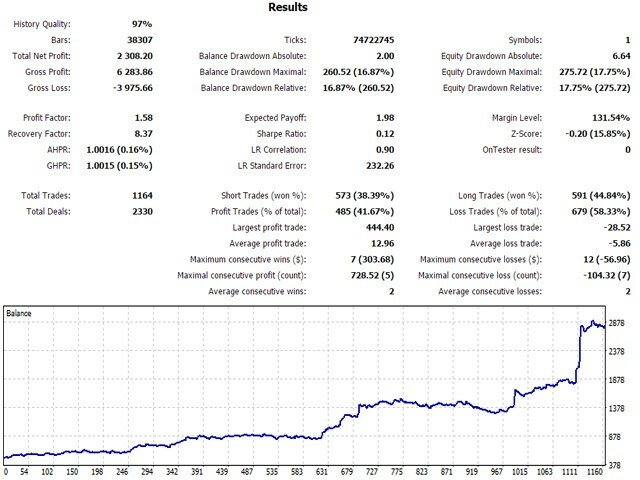 Extremum Scalper is a fully automated Expert Advisor, that uses a dynamic MM, probabilistic analysis and also strategy of breakout/rebound from the levels of daily and local extremes, and the candlestick Highs. The price Highs and the tick volume serve as the analyzed parameters. Works in different markets with all trade execution modes. Does not use martingale or hidden methods of increasing the position volume. The EA has 9 different extremum calculation algorithms. Uses a drawdown protection, slippage control, spread filter. Flexible settings allow you to create your own scalping strategy. 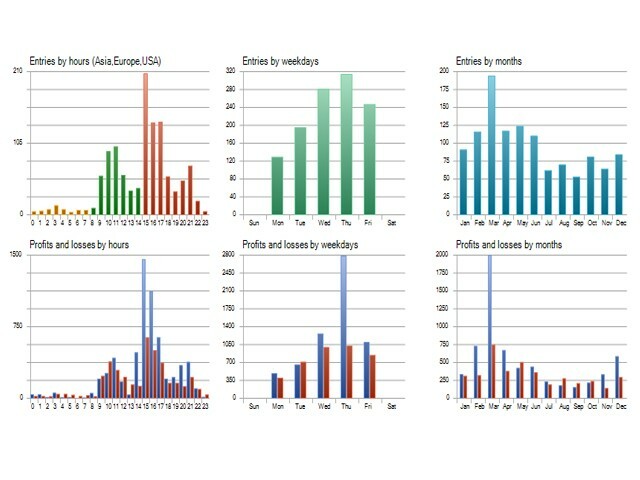 Trade Direction - a selection of the trading direction Buy/Sell/Both. Maximum Risk 10 serial losses - the maximum risk on a losing series of 10 orders in percent. Fix LotSize - fixed lot, used if Maximum Risk 10 serial losses = 0. Maximum Daily Loss and Maximum Daily AverageSlippage – maximum allowed daily losses and slippages. If not equal to zero - when reaching the specified values, the EA will take a trading pause and go into the standby mode until the next day. Spread Filter – Maximum allowed spread for opening orders. Disabled if set to 0. Strategy – the LocalChannel, DaysPlusChannel, GreedChannel strategies - differ in the number of simultaneously set levels. These modes are sensitive to spreads and the size of commissions on the account. The MaxPoint, MaxVolume, MaxSize, StaticSize and CandleMix modes are based on detection of the maximum values of the corresponding parameters of the current candle, the size of which is controlled by the Extremum Candle Size setting. These modes are more resistant to the size of spread, but the number of trades on them is considerably lower than in the previous modes. Extremum Range – the number of candles (range) to search for extremums. The Period of placing orders – the time period after which the EA checks the conditions for placing new pending orders. The Maximum Period of existence orders- the lifespan period of the pending order. Minimum Distance of placing orders – the minimum distance from the price to place an order. If set to zero, it will be calculated automatically. HighCorrection,LowCorrection – distance from extremums to place the order. It can take both a positive and negative value. Use Rebound orders – use the extremum level rebound strategy. Rebound place Mode – rebound order placement mode. Candle - the order will be placed on the High/Lowof the previous candle. Stop - the order will be placed on stop-loss level of the main order. Trade LOG LEVEL - logging mode, responsible for the amount of information output by the EA, which can be seen in the "Journal" and "Experts" tabs. Acceleration of the optimization and testing - allows to speed up optimization and testing. When enabled, the 'Maximum Daily Loss' and 'Maximum Daily AverageSlippage' parameters will not be considered during optimization and testing. I recommend using pairs with an average spread of fewer than 10 points. I am having a good experience with this product. It is able to provide a good success rate. The seller (Mr. Tetyana Shcherba) provides good technical support and quickly answers any questions about the product. The product offers several configuration customization possibilities, which enables the application in different types of markets (for example, currency pairs/FOREX and futures). Протестировал демо версию со стандартными настройками на фьючерсах золота, сразу показал стабильный плюс. Взял в аренду и погонял на фьючах евро, золота , газе и нефти - 70% сделок в плюс. После появления версии 1.47 купил эксперта. Пока все нравится, торгует правильно и главное быстро, тех поддержка на высоте. Короче рекомменд. P.S Начинаю тестить на фортсе: РТС, сишка, нефть, результаты позже. Как и положено скальперу, с небольшой просадкой дает доходность и бывают всплески. Все грамотно сделано! Использую на парах EURUSD, USDJPY,AUDUSD они наиболее подходят для этого типа стратегии,хотя автор рекомендует только EURUSD. I like the trading style of this EA . I think the safety is the most important element for the forex trading success. Seit einem Tag eine Position in Wartestellung. Noch kein einziger Trade seit Kauf. Wo kommen nur die 5 Sterne her? I do not understand why anybody yet not put you five stars. Great thanks. Optimization of updating statistical data. The probability value for a long calculation period now displays on the Info panel(in parentheses in the line "Next LotSize"). Now you can use the EA on the hedging-accounts. Added navigation in the statistics block. 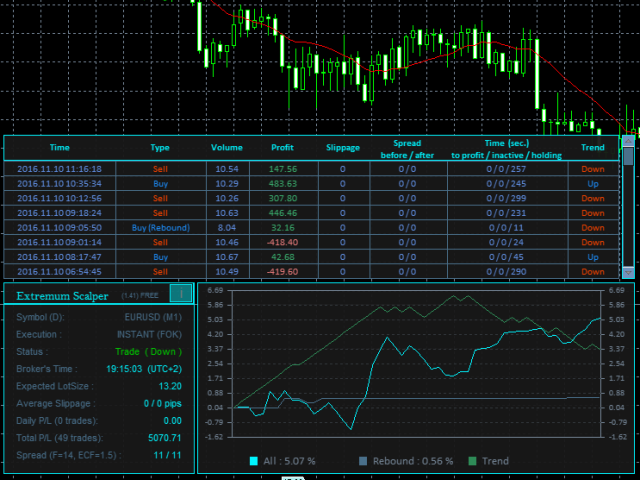 Added the system of dynamic money management, which based on a probabilistic analysis. The automatic calculation of the Decimal-Correction multiplier for the exchange trade has been changed. The default settings are now for accounts with commissions. The code was optimized, bugs were fixed, outdated settings were deleted. For those who have already purchased my product: please contact me to receive the new settings. Trailing is now asynchronous, the modification of the order during rapid moves is faster. 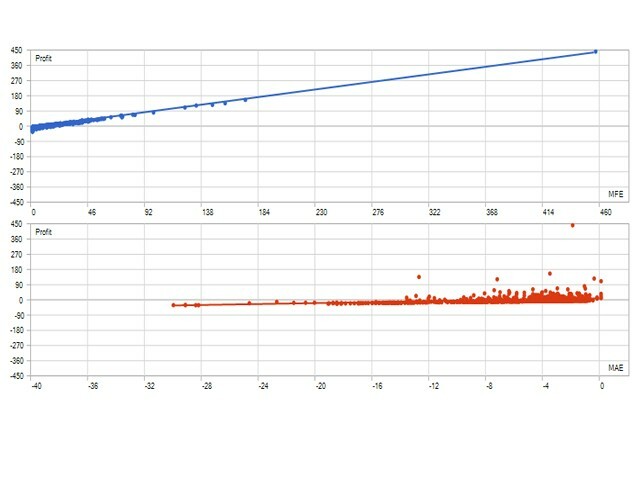 1) The auto-calculation value of spread filter. 2) The possibility of closing inactive transactions over a certain time. 4) Code optimization, especially working with ZigZag. 5) Added additional filter to control a threshold value of stop loss and fine-tuning non-Forex market. 6) Additional parameters for Rebound orders, as well as improved opening logic. 7) Added filter for the damaged ticks that can be used when testing EA in the "Every tick based on real ticks" mode. 8) Added some additional checks to improve the security of your account. 9) Added a block of statistics, where you can get more information about deals. Сalled by pressing "i" button on the info panel. 10) Updated and expanded the EA description. 1) Fill Policy - change order filling policy. 2) Spread filter Sensitivity - set the spread filter sensitivity. Also, orders are now saved (before reset) before the filter is removed. 3) Custom Seconds - new mode in Orders lifetime allowing you to set an order lifetime in seconds. 4) Trailing for TP - trail take profit level. 5) Trailing mode - manage trailing start cycles. 6) Rebound-orders lifetime - set rebound order lifetime. 7) Pause 1,Pause 2 - set trading pause time. Changed the trading time management. Also, orders are now saved before pauses and after a trading session end. Added ability to set broker's time zone for the time settings. 8) Significantly revised the slippage compensation and deal tracking systems. 9) NewsTime - new strategy for news trading fans. 10) ZigZag - new strategy based on extreme value calculations using ZigZag indicator. 11) Trade LOG LEVEL now features a new mode, at which only the EA messages are shown on the Experts tab. 12) Improved and updated the new description. 13) Fixed all currently known errors. Improved the trade maintenance and safety of the deposit. More details in the updated description. Small fix of the "Market Closed" status. Fixed the display of the next order's lot size. Fixed bug with deleting orders during initialization. or if the timeframe the EA is attached ti is changed. Improved the spread control. Now, when the spread is high the EA deleted the nearest order and not all at once. Important update. Code optimization, a lot of small fixes, improved maintenance of the deals. The Double Exponential Moving Average is used as a trend indicator, the parameters of which can be found in the settings. 2) Added real-time slippage control (the Critical Slippage parameter). If a slippage greater than this parameter is detected, the trade will be closed immediately. 3) Added the ability to select the dynamic stop loss (StopLoss Mode), where it is automatically calculated based on the Hi/Lo of the current and the previous bar. In order to use a static stop loss from the settings - set this parameter to 'FromSetting'. 4) The strategy that uses the rebound order now includes the ability to place limit orders on the breakout rebounds (Rebound). Changed the default settings according to new features. Acceleration of the optimization and testing - allows to speed up optimization and testing. When enabled, the 'Maximum Daily Loss' and 'Maximum Daily AverageSlippage' parameters will not be considered. Trade Direction – allows to select the trading direction. The Maximum Period of existence orders Trade Direction – allows to set the lifespan of the pending orders.